Bahá’u’lláh who delivered a new Revelation from God to humanity is the latest in the series of the Divine Teachers which include Moses, Krishna, Muhammad and Christ. Bahá’u’lláh reminds us of ancient spiritual truths and brings social teachings necessary and relevant for today’s world. He revealed divinely inspired passages equivalent to over 100 volumes. These writings contain mystical truths, social and ethical teachings, laws and decrees, and a fearless proclamation to the kings and rulers of the world to devote their energies to the establishment of universal peace. Bahá’u’lláh passed away in 1892. But His teachings had already begun to spread beyond the place of His confinement, and His Shrine is today the focal point of the world community which these teachings have brought into being. So, where did it all begin for us in Aotearoa? From 1913 to 1922, the Bahá’í Faith had a single follower in Aotearoa New Zealand – a courageous woman named Margaret Stevenson who was born in Onehunga on 30 November 1865. Margaret remained a dedicated and active member of the Bahá’í Faith until her passing in 1941. Since then, the Faith has grown to establish local communities throughout the country, each comprised of members from a wide variety of races, religious backgrounds, ages, and socio-economic status. However, it was not until 1948 that the first person of Māori descent, Albert Tikitu White, became a Bahá’í in Whangarei. His wife, Florence also joined the Faith. Albert, who descended from the Ngatiawa tribe, and Florence naturally taught their children about their new Faith and four of their six children who reached adulthood became Bahá’ís. Some New Zealand Bahá’ís of the past whose names stand out are Hugh Blundell, Ephraim Te Paa, and Shirley Charters. These are just a few names among many early, influential Bahá’ís who spread the message of Bahá’u’lláh and strived to put His teachings into practice by serving their communities and working towards fostering unity among the diverse peoples of Aotearoa. The first New Zealand Bahá’í, Margaret Stevenson, was born in Onehunga on 30 November 1865. She initially heard of the Bahá’í Faith through reading an article in The Christian Commonwealth sent to her by her sister, Amy, who was studying music in London. Margaret, though, later admitted that she “did not think any more about it”. However, in 1913 Miss Dorothea Spinney, a professional actress who performed in many parts of the world, arrived in Auckland from California and stayed at the Stevenson home in Devonport. During that visit there were many opportunities for Miss Spinney to tell the Stevenson family about the Bahá’í Cause. After embracing the new Faith, Margaret began to speak to others of her new found beliefs – a courageous act for a middle-class woman in the then conservative society where following a new religion was considered odd. As New Zealand’s only Bahá’í, she held on steadfastly to her faith for many years. Finally, after the visit of the first Bahá’í travelling teachers to New Zealand in December 1922, a handful of individuals from Margaret’s social circle also became Bahá’ís. A class was established at her home in Parnell to study the Teachings in more depth and was held there regularly for 10 years. In January 1923 the first Bahá’í Nineteen Day Feast, which is a gathering of the Bahá’ís to pray, consult and socialise together, was held at her home. 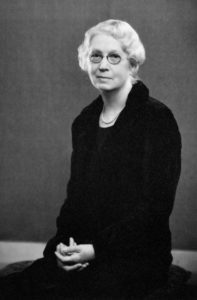 Margaret held various administrative roles within the Bahá’í community and remained an active and dedicated Bahá’í until her passing in Auckland on 11 February 1941. She is buried in Hillsborough Cemetery. My grandfather, Albert Bennett White, was born in Whakatane, the son of Abraham Bennett White, an English immigrant trader, and a Ngatiawa woman of high rank, Mereana (or Mere te Wia), the daughter of Tikitu. Abraham Bennett White was killed during the Hauhau uprising in the 1860s and Mereana, perhaps fearing for the safety of her children, sent them to the care of a relative in Whitianga. My grandfather and his brothers had a boat building business in Whitianga and my father, Albert Tikitu White – who was to become the first Bahá’í of Māori descent – was born there in 1895. He grew up to learn the skill of working with wood and from his father he also learnt the art of cultivating kumara. Like my grandfather, he also distinguished himself as a successful athlete. In 1916 my father was away to war with his brothers, serving in Egypt and then on the front line in France. He and my mother, Florence Dunlop, began their married life in Auckland. There followed a few years in Taupo and then, at the height of the Great Depression, the family acquired some land in Kerikeri where, at the time of my birth in 1946, my father was a farmer. The horrors of war had a profound effect on my father. I was raised on stories about what went on at the front line and my father spared me none of the dreadful details. In those conditions of close combat my father observed, as he described it, Christians fighting Christians and the result was a loss of his faith – not a loss of his faith in God or of his belief in Christ, but rather a loss of his faith in the institutions of Christianity. He realised the desperate need for peace but saw no hope in a divided church providing the solution to conflict. My father was, therefore, receptive to any ideas that addressed the issue of peace and unity and, soon after learning about the Bahá’í Faith and becoming informed of the teachings of Bahá’u’lláh concerning world unity and the oneness of humanity and of religion, my father and mother enrolled as members of the Bahá’í community. That was in 1948, in Whangarei, where my parents had moved soon after my birth. They went on to raise me in their chosen faith and remained committed Bahá’ís until they passed to the next world. My father’s social conscience, ignited at the front line in France, inflamed by his experience of the Depression and forged by what he learnt from his study of Bahá’ís Writings, took expression in numerous meetings held in our home, where the discussion was about world events, the need for peace, the solutions offered in the Bahá’í Writings, and involvement with organisations and activities that aligned with his views. He made friends with a wide assortment of people of different ethnic backgrounds and was a member of the Peace Council in Auckland and of the Esperanto club. My father believed in the value of education, and was a strict user of “correct speech”. He was not a speaker of te reo Māori but insisted on the proper pronunciation of Māori words and place-names. He was loving and kind but could also be impatient and quick to anger. No doubt as a result of the influence of Bahá’í teachings, I was spared the physical punishments sometimes experienced by my older siblings but I grew to know that my father was not a man to be argued with. He appreciated order, precision and excellence and it is the expression of these qualities in his life that lives on in my memory of him. Dame Robin White, her sister Margaret (now ‘Alá’í), grandchildren and great grandchildren remain strong Bahá’ís. E te tama a te tangata! From 1931, the Bahá’í community sought to take the Message of Bahá’u’lláh to Māori. Contact began with a month-long visit to New Zealand by an overseas Bahá’í, Mrs Keith Ransom-Kehler, who was welcomed onto the Orakei Marae where she met with Māori leaders. Two years later, in 1933, a pamphlet which had been prepared specifically for Māori was translated into Te Reo. In October 1958, a prominent Bahá’í from Uganda, Mr Enoch Olinga, met with Māori chiefs at Mangatoatoa Pā during a six-day visit to New Zealand, the main purpose of which was to meet the Māori people. He went to Ngaruawahia where he met with King Koroki’s advisers, and to Rotorua where he was welcomed onto several marae and met Guide Rangi. During his visit Mr Olinga spoke to a gathering of two hundred Māori at Kihikihi. Four years later, in 1962, Ephraim Te Paa, Te Rarawa, a Kaumātua (Māori elder) living in Ahipara, became a Bahá’í, having first heard of the Faith when Mr Olinga spoke at Ngaruawahia. When, in April of that year, another prominent Bahá’í, Dr. Muhajir, travelled throughout the North Island meeting the Māori people, Ephraim accompanied him and explained the Faith in Māori to the various tribes they visited. 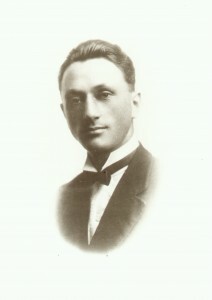 During his long life as an active Bahá’í, Ephraim continued to promote mutual understanding between Māori and Bahá’ís. Since then, Māori Bahá’ís have regularly been elected to serve on national and local governing institutions for the Bahá’í community. Conducted by secret ballot, the Bahá’í electoral process prohibits the nomination and presentation of candidates, thereby giving maximum freedom of choice to each elector and avoiding the partisanship and power-seeking behaviour so characteristic of conventional political elections. These elections are held annually in an atmosphere of spirituality and dedication. In 1983 a group of Bahá’ís, including Ephraim Te Paa, travelled to the Rātana Pā. This was the first official attempt at reaching the Rātana community, although the earliest Bahá’í contact with them was probably via Shirley Charters, an audacious Bahá’í teacher, in the 1960s. Over the years that followed, a number of Bahá’í conferences were held at the Rātana Pā, with up to 700 people attending. By the mid-1990s, the Bahá’ís were invited to hold a spiritual retreat based on the study of the Word of God at Rātana Pā. The first one took place in April 1995. Throughout the 1980s and into the 1990s, significant Bahá’í gatherings were held on Marae, including one on Tūrangawaewae in 1993 which included the then Māori Queen, Dame Te Atairangi Kaahu. Māori Bahá’ís continue to hold regular hui. Over the years, the Bahá’í community has released a small number of publications in te reo Māori. In 2007, one of the most important Writings of Bahá’u’lláh was translated into te reo Māori – Ngā Kupu Huna a Bahá’u’lláh (The Hidden Words of Bahá’u’lláh). This was followed, in 2011, by a key introductory text, Bahá’u’lláh Me Te Wā Hōu (Bahá’u’lláh and the New Era). Both publications have been formally presented to Māori leaders, including King Te Arikinui Kiingi Tūheitia.